Originally a challenge topic for the North Bethesda Camera Club, I decided to create a collection involving gears and wheels. The initial collection consists of images of the gear system for the 24-foot clocks of the "Bromo Tower" in downtown Baltimore, and wheels and gears from The Baltimore Fire Museum and The Baltimore Streetcar Museum. 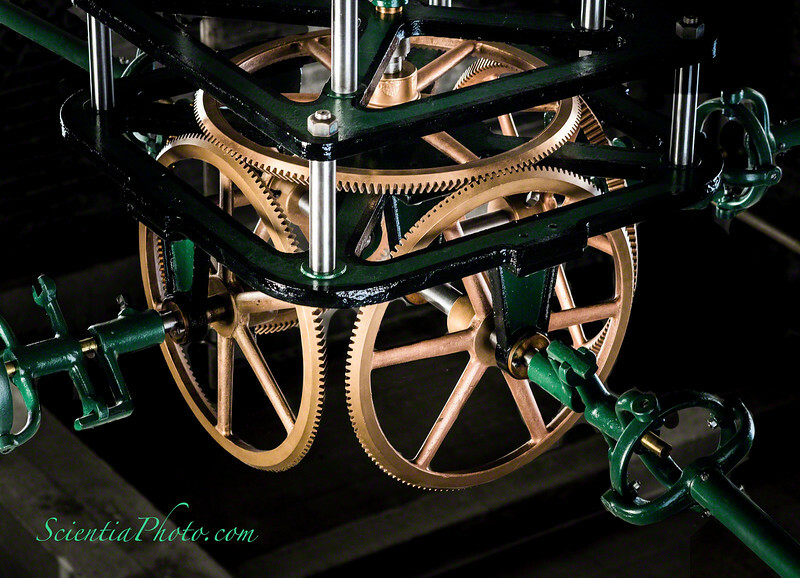 This 4-way split gear mechanism takes the information from the main shaft turning at 1 revolution per 12 hours and splits it into the drivers for the 4 separate 24-foot clock displays on the sides of Baltimore's famous Bromo Seltzer Tower. The gears are approximately 15" in diameter.